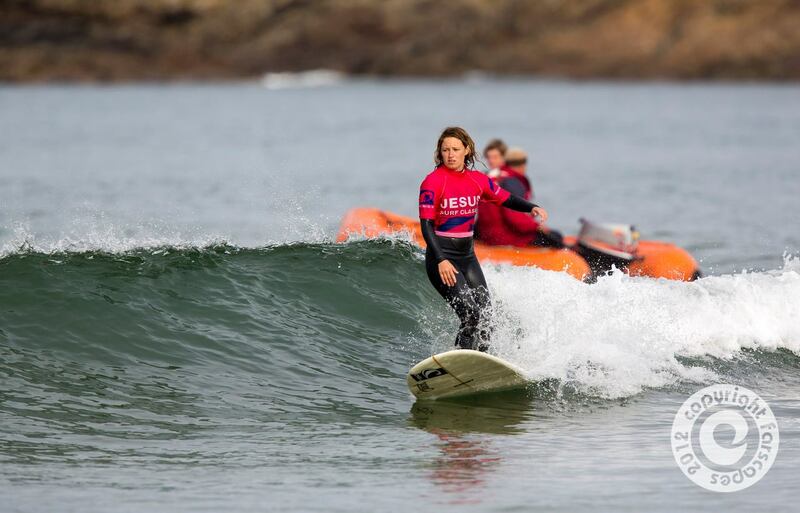 Last weekend I was lucky enough to compete in the Jesus Surf Classic event at Polzeath, which was organised by Christian Surfers UK. After a few days of poor surf the weekend shone through with sunshine and small but clean waves. It was tough as the waves were small – not the most favourable of conditions for me…I do like it when it’s a bit bigger as my small wave surfing is pretty shocking! The brisk offshore also made getting into the little waves tough but the occasional bigger one would glide through every 10 minutes or so, with everyone eagerly awaiting a nice set wave. I made it through to the Semi finals where I narrowly missed out on the finals but ended up with 5th place overall. I was stoked with that though as conditions were getting smaller and it was a tough final for all the competitors. It was great to spectate and catch up with lots of my surfing friends and family for a lovely weekend. Definitely my favourite one of the year! Even though the waves weren’t epic, the people and atmosphere at the event was. Can’t wait until the next Jesus Surf Classic in 2013!